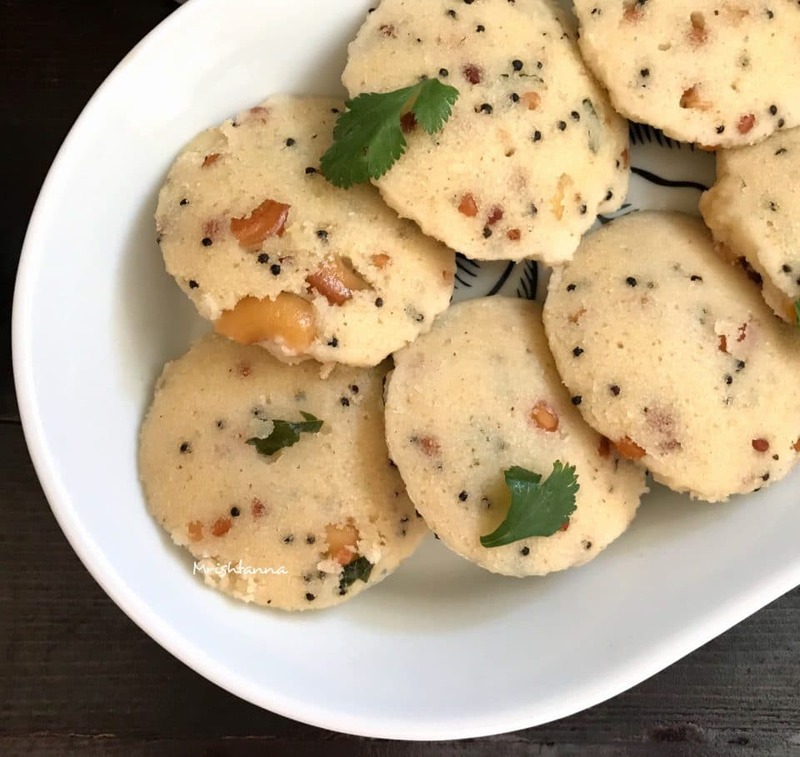 Quick Rava Idli – instant Pot Savory semolina Cakes! Hereâ€™s a recipe for fixing an authentic south Indian breakfast in less than an hour! Just like few of my recent recipes, I have prepared this using my instant pot. 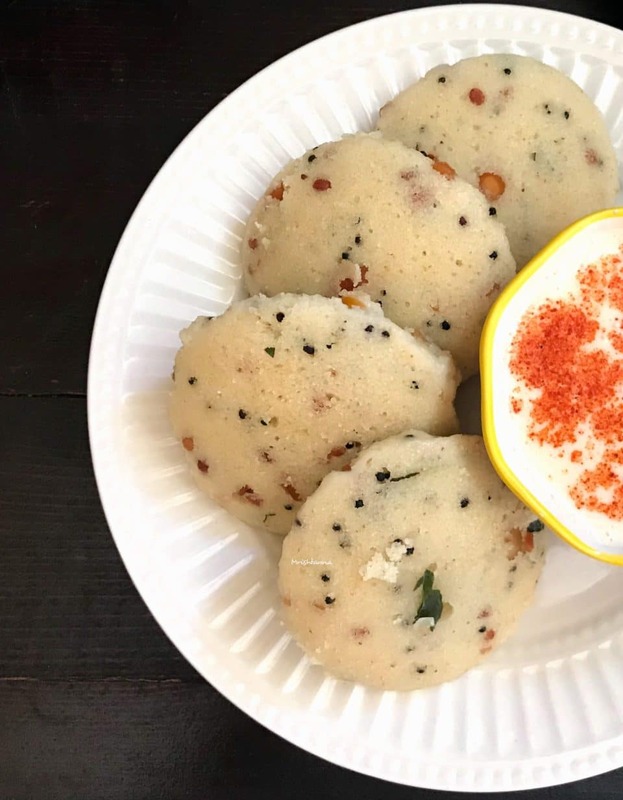 â€œIdliâ€ is a savory rice cake thatâ€™s paired with coconut chutney, primarily in south India. My recipe is a variation from the rice version. I am using â€œSujiâ€ or more popularly called as â€œRavaâ€ in India. 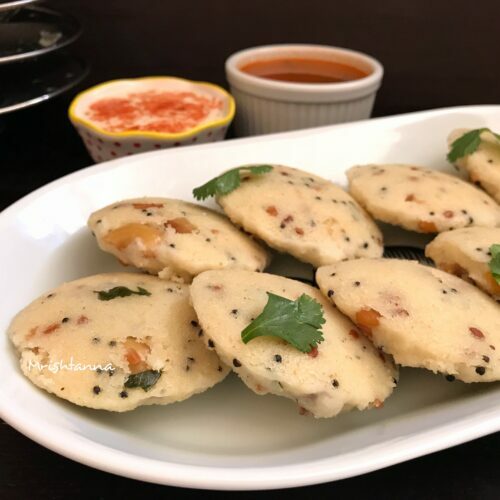 Recipe for Rava idlis are not uncommon, but preparing them in a quick fix way with instant pot is one you cannot find on very many sites. There are a lot of store-bought options readily available in the market that requires you to just add water and steam. However, nothing can beat the taste of authentic preservative-free, soft and fluffy homemade Rava Idli. Most of my friends avoid preparing this dish altogether because of all the prep time involved. Hereâ€™s how you can add this simple breakfast to your list. No more of lengthy fermentation procedures or remembering rice-dal ratios. Rava idlis are also different from rice idlis in that they are steamed along with the condiments, spices, and nuts. The procedure is quite simple in that you have to gather up the spices and saute them with your favorite nuts. I like using cashews for something like this. Almonds and peanuts are also good options. Once you have your dough ready, it is a matter of minutes to steam them with the instant pot. Let me know if you have any questions about the settings in Instant Pot. 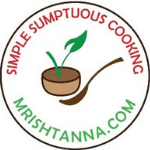 I have also added an Amazon link for the idli mold that comes in very handy for such recipes. If you enjoy Indian recipes such as this, get them directly in your inbox by subscribing to my newsletter. Just hit the subscribe button at the right. You will also get a copy of my e-book where I have put together some simple vegan dessert recipes and dessert essentials. My readers have found it very helpful and I am hoping you will too! 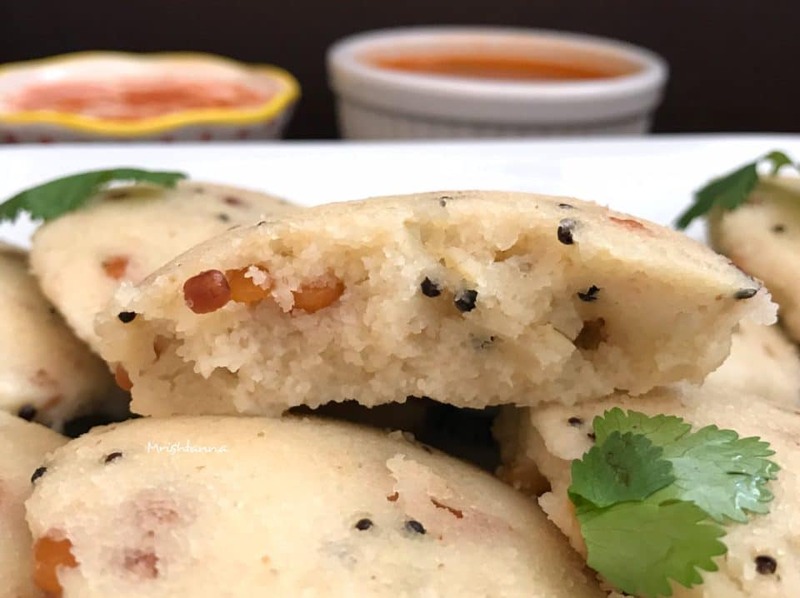 â€œIdliâ€ is a savory rice cake thatâ€™s paired with coconut chutney, primarily in south India. My recipe is a variation from the rice version. I am using â€œSujiâ€ or more popularly called as â€œRavaâ€ in India. As it starts to heat up, add and saute mustard seeds followed by Bengal gram and urad dal and saute until they turn golden. Add cashews and saute until they are golden brown. Add asafoetida powder and curry leaves and saute for 30 sec. Add rava and saute for about 8-10 minutes which is when you will get a nice aroma. In a medium-sized bowl, add the following to the rava mixture: Salt, Soy yogurt, and water. Mix well and place it aside for 10 minutes. Add the small amount of batter to each mold. Place the idli stand in the instant pot and close the lid. Set it to â€œSteamâ€ mode and in venting position and let it steam for 12-15 minutes. Note: Time on the Instant pot does not work in the venting position. So you have to monitor your timer. If your curd/ yogurt is not sour add pinch of baking soda before you placing the batter in idli molds. Quick Rava Idli is ready! Serve them hot with your favorite chutney! Check my video and post your comments here!